I've opened more than a few blasters of Goodwin Champions on Retail Review, but I think this may be the first 2011 version I've tried. Today I felt like going with this blaster because I recently opened up 15/16 Upper Deck Champs and this product has some similarities with that product. Though it's hard to get a hit from Goodwin, there is still a lot to enjoy here. 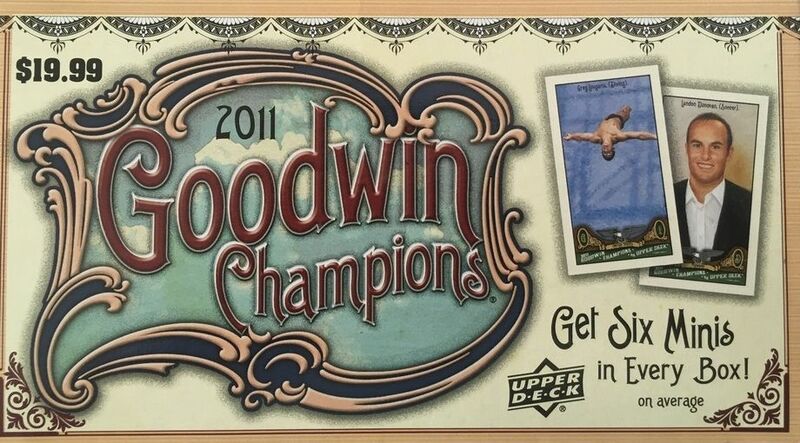 Goodwin Champions is a fun set of cards to open up. I absolutely love the variety that's in the set and the opportunity to get memorabilia cards and hard-signed autographs. Hobby boxes, as usual, make it easy to get both these kinds of hits. It's not very easy to find hits when it comes to blasters, though it is possible. What the blaster does guarantee, though, are mini cards. Mini cards are a staple when it comes to Goodwin Champions. There are some collectors that really love the mini cards (those collectors tend to be baseball guys), but others who find them hard to manage... like me! Still, I wouldn't mind a mini card if it had a memorabilia piece or autograph on it. That would be pretty sweet. No hit out of this blaster of Goodwin Champions, but I really did have a fun time opening up this box. 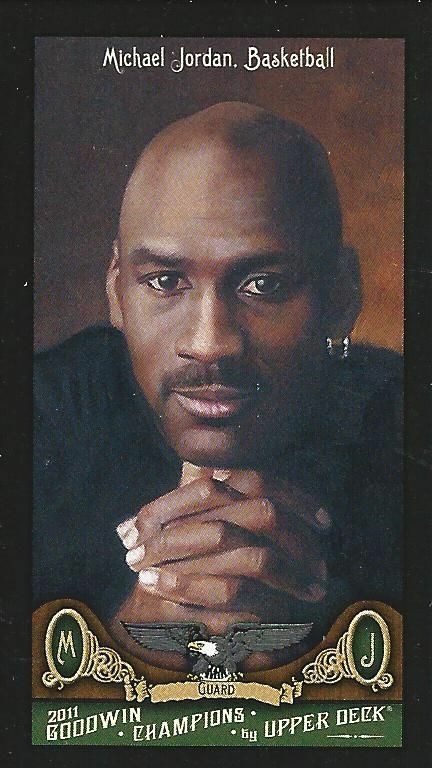 It contained a variety of cards from the entire spectrum of athletes, celebrities, and other famous people. And all the cards were beautifully painted. 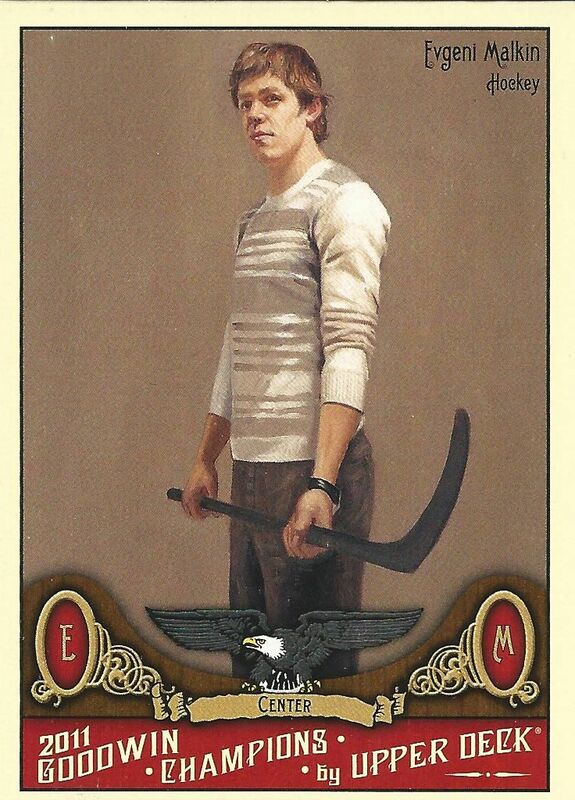 It's funny when you can get cards of Sidney Crosby and Michael Jordan along with Harry Houdini and Karl Marx. It makes me wonder who's idea it was to put Marx in this set too! That was certainly an interesting choice. The highlights of the box were the six mini cards I got, the die-cut insert, and some notable base cards. It's just so much fun when you see the choices Upper Deck has made in representing the players in this particular card set. This is a really young depiction of The Wizard. 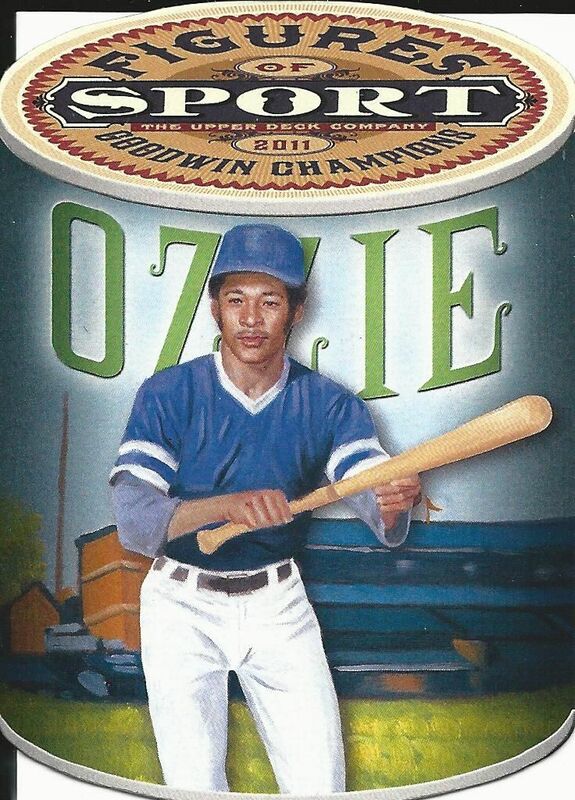 Ozzie Smith got that nickname because of his magical defensive abilities. He was a wonder to behold and would have a lot of flair on field as he would sometimes do flips in the infield. This is a pretty awesome depiction of Geno. This artistic rendition really shows his menacing height. Though most of you know I've become much less of a fan of the Pens since last season, I can't deny that Malkin is a great hockey player. I absolutely love this card! It's always a thrill to pull #23 out of a pack - even base cards! Back in the day almost any MJ base card was automatically booked at five bucks. This parallel card's black border really makes this card stand out magnificently. I'm definitely keeping this card in the PC! Sure, there weren't any hits in this blaster box, but getting the Jordan card was great for me. After opening the cards, I actually did spend time going through the base cards and taking closer looks at them. This isn't done for a lot of other cards that just aren't interesting to look at - like last week's Artifacts base. Those were boring. These, however, were great fun to enjoy! Awesome blaster, going to look out for that product!